It was a rather breezy ringing session at Durlston this morning and there weren’t too many migrants about. Shaun took charge of a group at the so-called ‘goat plots’, whilst Terry and I worked the site near the visitor centre. Both teams ringed 32 birds, highlights being another Grasshopper Warbler, 3 Tree Pipits and a female Sparrowhawk. 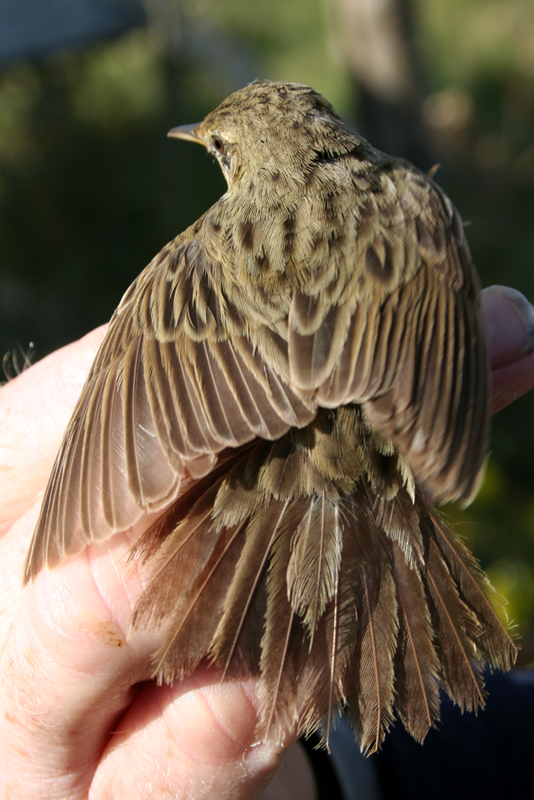 Blackcaps are replacing Whitethroats as the commonest Sylvia but Chiffchaffs have yet to replace Willows. The highly abraded tail of an adult Grasshopper Warbler, the result of over a year of skulking in bushes. 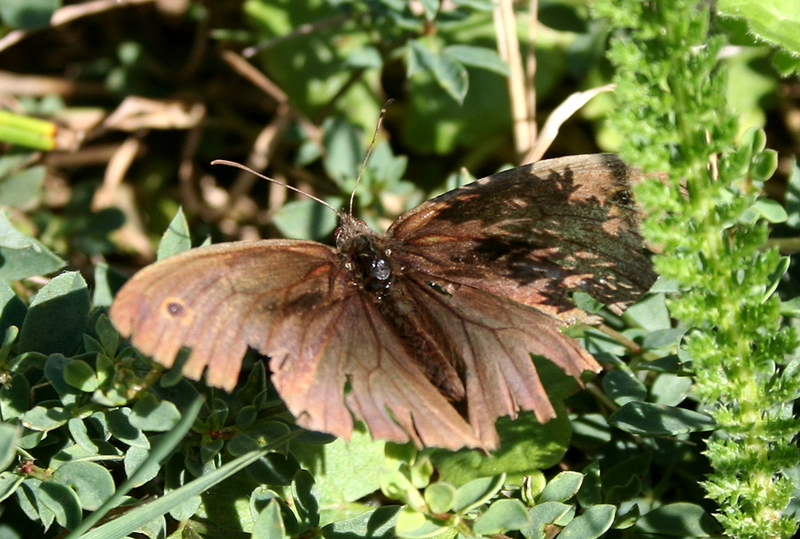 The highly abraded wings of a Meadow Brown that has been on the wing all summer. Janis and Andy had hired a van to collect a load of stuff that had been stored at the home they once shared in Plymouth (prior to their sailing adventure). Margaret and I helped them unload and later they all came round for Janis’ birthday dinner. Happy birthday Janis! Janis and Andy at the new house in Upton. Kara at her new home, 'my stuff must be somewhere in here'!